Tour introduction: There are 1300 reindeer people herd their reindeer and live in tepees in Tsagaan Nuur sum of Khovsgol province. 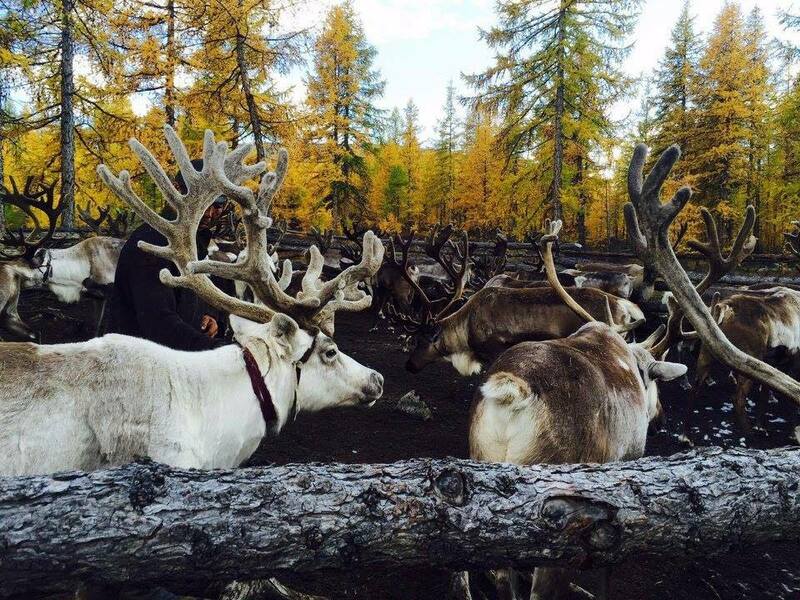 They live in west and east taiga (means deep forest) herding total 400 reindeer. Team will visit west taiga forest and visit reindeer people and their tepees by horses. Team will be familiarized with reindeer people's lifestyle, reindeer herding culture, ride reindeer, take picture with reindeer, stay in tepees. 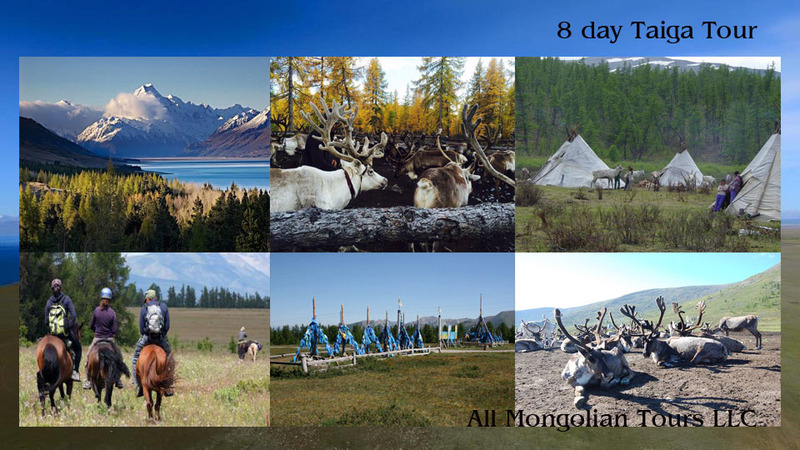 Moreover team will visit Lake Khovsgol called Blue Pearl of Mongolia. You will go boating, hiking, climbing mountain and swimming. Day 1. Ulaanbaatar city - Erdenet city: First day of travel, team will have breakfast and drive to Erdenet city for 370km on paved road. From Erdenet you can buy necessary things for travel and settle down at hotel. After having breakfast, we will drive to Murun. On the way, we will visit Uran togoo mountain. Uran togoo an inactive volcano located in Bulgan aimag.Arrive at Murun, center of Khovsgol province. Stay at the local hotel and rest. Day 3. Murun city - Tsagaannuur soum 275km (60km on paved road and 215km on dust) Then arrive at Tsagaannuur (White Lake) soum and visit Tsaatan family or Reindeer family. After breakfast team will ride horses to visit reindeer tepees. Surrounding nature and environment truly beautiful so you can take picture and ride reindeer too. Stay in tepee. Team will leave Tsagaan Nuur soum after having breakfast and head to Lake Khovsgol, Janhai. 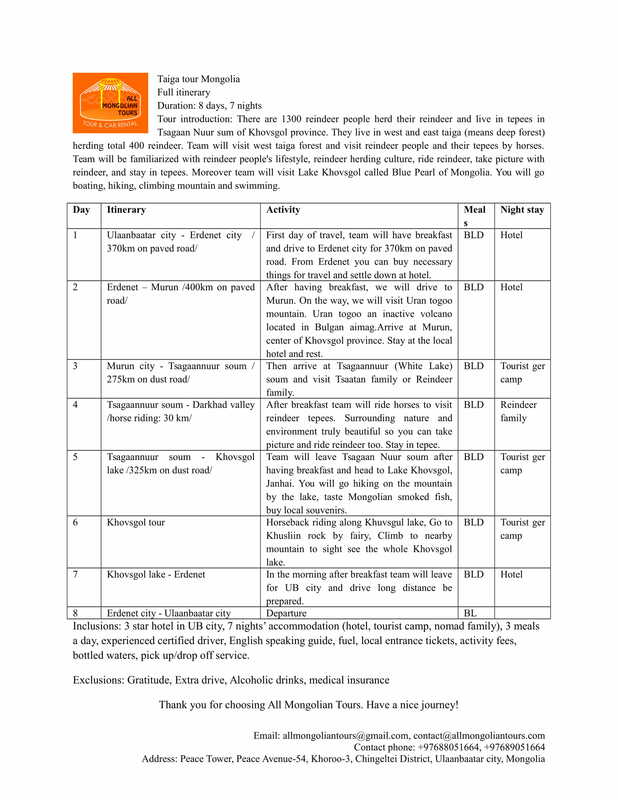 You will go hiking on the mountain by the lake, taste Mongolian smoked fish, buy local souvenirs. Horseback riding along Khuvsgul lake, Go to Khusliin rock by fairy, Climb to nearby mountain to sight see the whole Khovsgol lake. In the morning after breakfast team will leave for UB city and drive long distance be prepared.